I was pregnant with our third, and we had just finished an epic three week trip in Thailand to visit family with our two toddlers. The whole time we had been in Thailand, my Thai sister-n-law, Oi, had been talking about a Korean Fried Chicken place near their apartment that I had to try. But sadly in the midst of her working and us in our flurry of visiting friend and family and shopping we never got the chance to go together. But while my Thai Hubby and I packed in a frenzy our four massive bags bursting with Thai snacks, Thai souvenirs and a mountain of kids clothes, Oi waited in line at BonChon to get me some beloved Korean Fried Chicken that we could eat on the plane on our way home. As we boarded the plane with our bag of Korean Fried Chicken in hand, and said farewell to Thailand, I felt like I was leaving part of my heart behind. 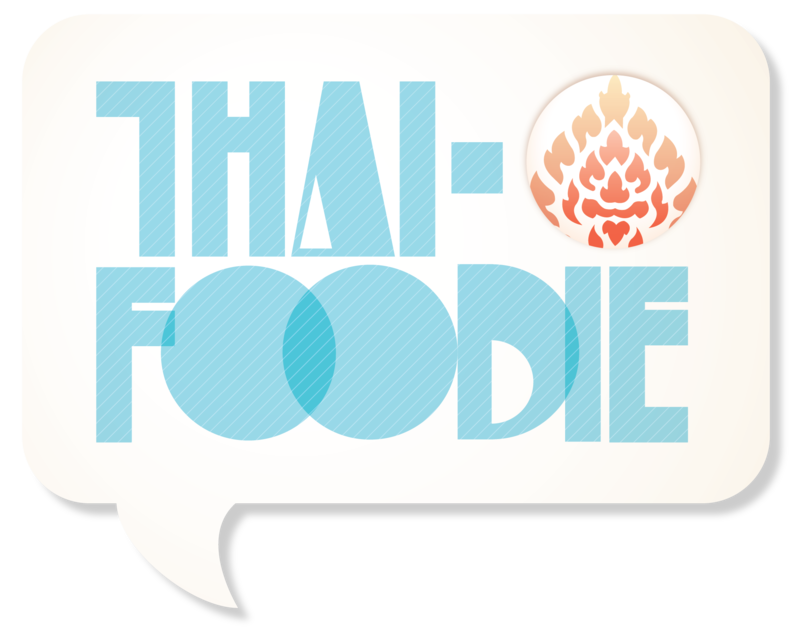 Thailand is our other home, a land flowing with cheap, delicious Thai food and people speaking Thai everywhere, unlike at home where ok Thai food is triple the price, and our kids think the only people who speak Thai are the five of us. We were flying ANA, a Japanese airline, and the dinner food choices we were fish, something I normally like, but whenever I’m pregnant one whiff of fish, and I’m searching for a barf bag, especially super fishy smelling airplane food fish. Korean Fried Chicken saved the day. I can still remember my heavy heart as the plane lifted off, rummaging through the pile of bags at my feet to find the Korean Fried Chicken bag. 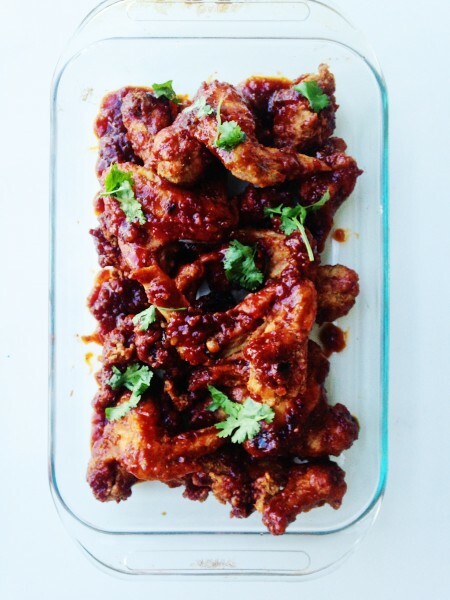 With my first bite of the crispy chicken coated with spicy and sweet, thick, dark red sauce, my heart felt lighter. My mouth was burning with the firey flavor, but instead of painful it felt more like a cozying up to a warm fire on a cold fall night. I savored every bite knowing I wouldn’t get to experience it again for who knows how long. That 28 hour flight from Bangkok to Japan to Houston to Austin with our two toddlers was like running a marathon in a desert because we were all cranky with exhaustion from three weeks packed with adventures. I don’t think I would have survived if I hadn’t had the Korean Fried Chicken to give me my starting fuel. 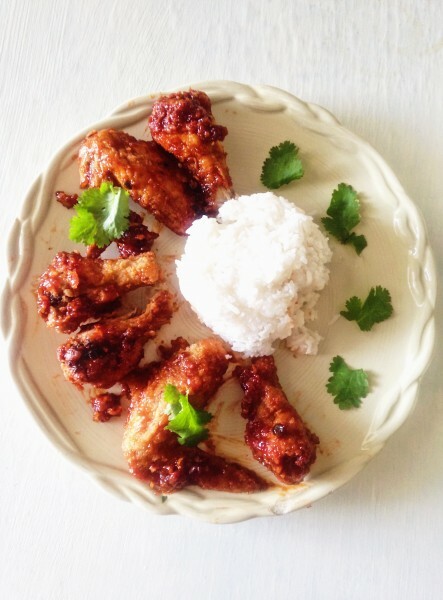 I hadn’t eaten Korean Fried Chicken since sitting on the plane in Thailand, and while my Thai sister-n-law was here we decided we had to make it. It took awhile, and was a labor of love, but well worth every minute. We all couldn’t stop saying, “Alroy mak! (So delicious! )” with every bite, and our toddlers were fighting over the last pieces. If you have a heavy heart, or even if you are feeling joyful, Thai-Style Korean Fried Chicken will make any day even better! Try out our recipe, and let us know what you think! 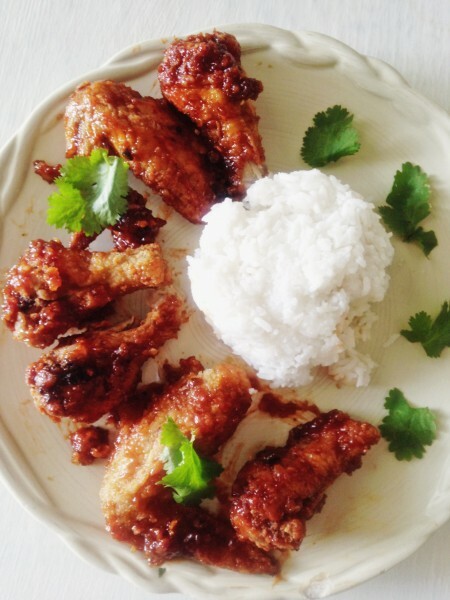 If you are craving soul food Thai-Korean style, you need to make Thai-Style Korean Fried Chicken tonight!! The twice fried chicken and epic sauce made of lip-smackin' honey, and spicy Gochujang will make all your worries float away! Add the salt, pepper and garlic powder to the chicken. 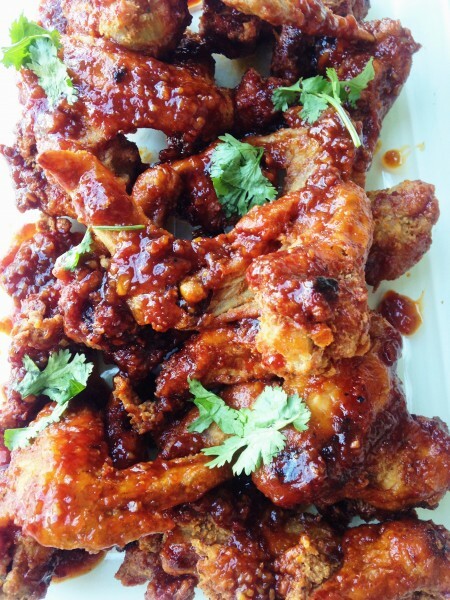 While chicken is marinating, you can start the Thai-Style Korean Fried Chicken sauce. Heat a few teaspoons of oil over medium heat saucepan, and add the garlic. Once the garlic is fragrant, add the ketchup, honey, gochujang, and vinegar. We like it sweet and spicy, but adjust to your taste preference. Heat it to a boil, and then let it simmer a few minutes until everything looks incorporated and delicious. Heat the oil in a wok or fryer until sizzling and then turn down to medium heat. While the oil is heating, mix the eggs into the chicken. Mix the four and panko bread crumbs together. Dip each chicken pieces into flour and panko until it's coated, and shake off excess flour. Add as much chicken as fits into the wok or fryer, but make sure it's not too overcrowded or it wont cook well. We had to do two batches, but it depends on the size of your chicken pieces and size of your wok or fryer. The key to Korean Fried Chicken is that it's fried twice. So fry chicken for 10 minutes and then place on a baking sheet with paper towels. Turn the heat up to high, and then add the chicken again, and fry until it's golden and delicious looking. Add the chicken to the pan that has the sauce, and mix it all up until each piece is coated. Sprinkle with sesame seeds, and serve with rice! We like to have it with a salad. And don’t forget to pin it up for next time on Pinterest with this pin just for you!